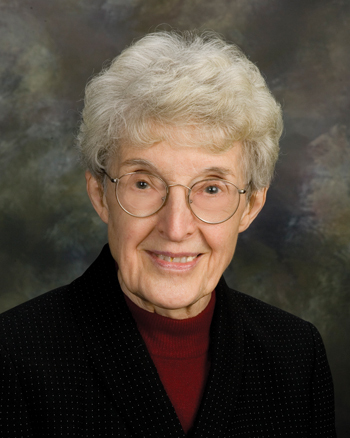 Benedictine Sister Delores Dufner is one of the best-known hymn writers in the church today. More than 20 different publishers have included her texts in their hymnals and hymn collections. The popular hymn anthology, Sing a New Church, contains her distinctive, beautifully crafted texts set to familiar hymn tunes. Sister Delores was liturgy coordinator for her religious community for six years and director of the Office of Worship for the Diocese of St. Cloud, Minnesota, for 11 years. A member of The Hymn Society’s executive committee, she holds master’s degrees in liturgical music and liturgical studies. She is a church musician, liturgist and organist. Sister Delores frequently receives commissions to write hymn texts for special occasions and needs. In 1994 she completed a commission for the libretto, Choose Life (Uvacharta Bachayim), an opera/oratorio in commemoration of the Jewish holocaust, with music by Mona Lyn Reese. In 1996 she was one of five winners in an international English-language hymn competition to update Mary's image in song. In 2000, The Hymn named her as one of three outstanding Roman Catholic hymn text writers since Vatican II.. Currently, Sister Delores is a member of St. Benedict’s Monastery in St. Joseph, Minnesota.